DJ Zinhle has shared beautiful pictures from her "amazing" baby shower. A stunning portrait of the beautiful and ever so humble Dj Zinhle. I was honored to capture this precious moment in your life. All the best with your pregnancy. DJ Zinhle has shared some beautiful pictures from her "amazing" baby shower. 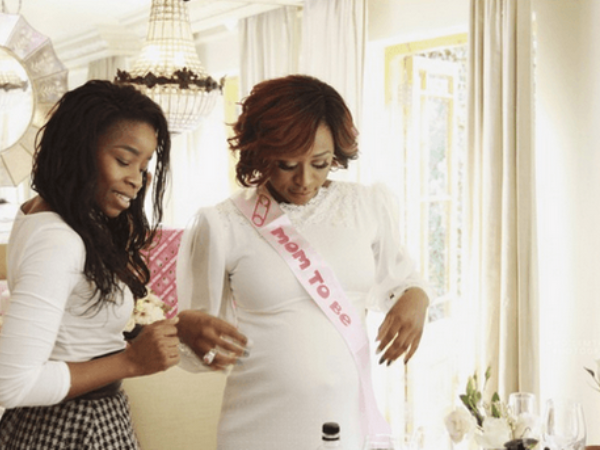 In the pictures the mom-to-be shared on her blog MOMents by DJ Zinhle, she looked lovely in a FabroSanz lace column gown. Her guests included close friends and family who got to share their "special MOMents". "We chatted about pregnancy myths and some of the most ridiculous advice they had ever received about pregnancy. This had us all in stitches," wrote Zinhle. Baby's daddy AKA also dropped in, carrying an adorable Melissa and Dough giraffe with big pink satin bow tied around its neck. We can't wait for Baby's arrival in July!